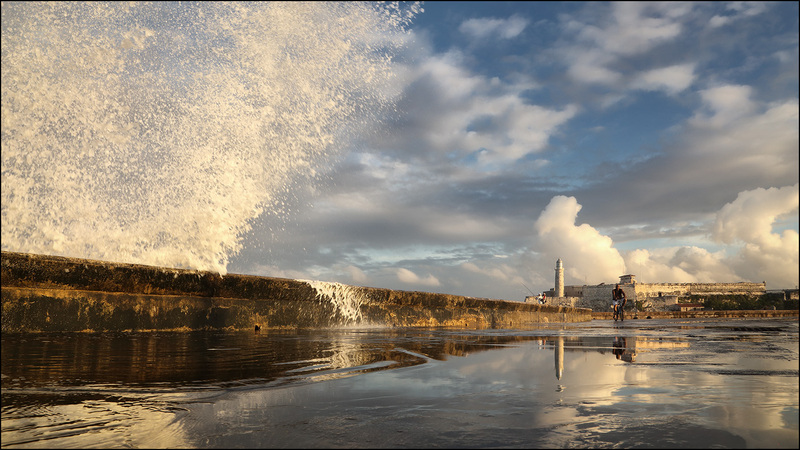 We were fortunate enough to get some heavy surf along the Malecon in Havana. I wanted a different point of view so I put my camera on a small table-top tripod and placed it on the ground. I would take three quick shots, pick up my camera and back away a few feet to avoid the spray. I had the wave timing figured out (I thought). Yes, I got wet on this one.